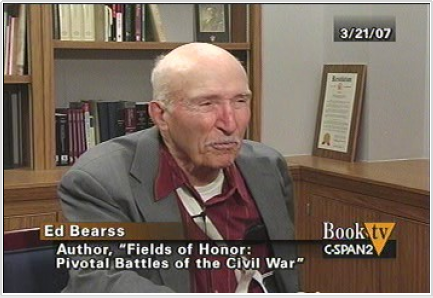 The Battle of Nashville Preservation Society (BONPS) is hosting a talk by Civil War legend-emeritus Edwin Bearss on July 16th at 5pm. The event is free to BONPS members and $10 for guests. It will be at the Z. Alexander Looby Theater, Nashville Public Library. 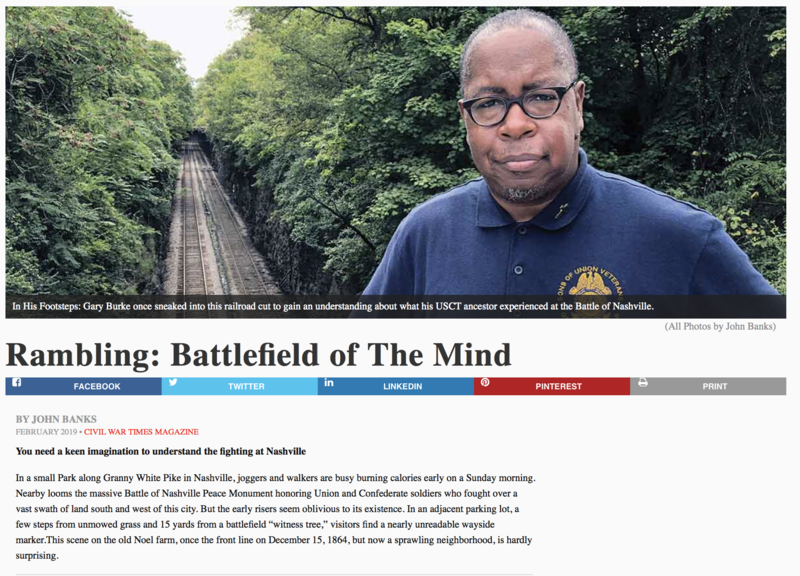 Was the potential of a Confederate capture of Nashville in 1864 likely in your estimation? We asked Professor Steven E. Woodworth this question: Was the potential of a Confederate capture of Nashville in 1864 likely in your estimation? Actually, I think a Confederate capture of Nashville in 1864 was as close to being impossible as almost anything we study in history. The more likely means by which Hood might have achieved greater success would have been by by-passing Nashville and penetrating much farther north–though the season of the year was much against it. And even at that, he wouldn’t have changed the course of the war. 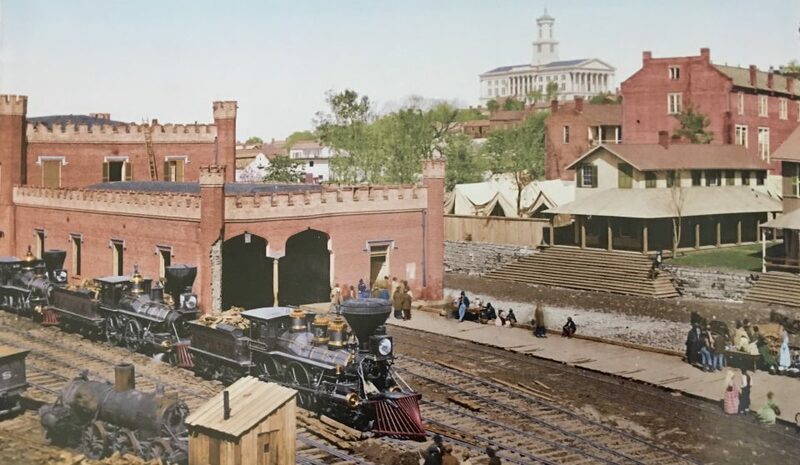 If he could, by some miracle, have taken Nashville, that certainly would have been a major headache for the Union high command, but ultimately, with Lincoln having been reelected, the North was committed to waging the war for up to another 4 years if necessary. Lee’s army could not have survived more than a couple of weeks longer than it did, and then Hood’s would have been the only major Confederate army left in the field. Can you imagine him with, say, 30,000 men, besieged in Nashville by perhaps 200,000 or more Union troops, led once again–as had not occurred since Chattanooga–by the combined leadership skills of Grant, Sherman, Thomas, and Sheridan? And with not even the most remote possibility of a Confederate army marching to his relief? In short, the final outcome might have been delayed, and thus attended with even more brutality and destruction, but it would have been the same. The last point in the war at which I can see any remote but semi-realistic hope of Confederate victory was the day before election-day, 1864. And for practical purposes, that election was probably decided on September 1, when Atlanta fell. Steven E. Woodworth is Professor of History at TCU in Texas. Among his publications are Jefferson Davis and His Generals (University Press of Kansas, 1990), Davis and Lee at War (University Press of Kansas, 1995), Leadership and Command in the American Civil War (Savas Woodbury, 1996), The American Civil War: A Handbook of Literature and Research (Greenwood, 1996), A Deep Steady Thunder (McWhiney Foundation, 1996), Six Armies in Tennessee (1998), The Musick of the Mocking Birds, The Roar of the Cannon (University of Nebraska Press, 1998), The Art of Command in the Civil War (University of Nebraska Press, 1998), Civil War Generals in Defeat (University Press of Kansas, 1999), This Grand Spectacle (McWhiney Foundation, 1999), Chickamauga: A Battlefield Guide (University of Nebraska Press, 1999), No Band of Brothers (University of Missouri Press, 1999), The Human Tradition in the Civil War and Reconstruction (Scholarly Resources, 2000), Cultures in Conflict (Greenwood, 2000), Grant’s Lieutenants from Cairo to Vicksburg (University Press of Kansas, 2001), While God is Marching On: The Religious World of Civil War Soldiers (University Press of Kansas, 2001), Beneath a Northern Sky: A Short History of the Gettysburg Campaign (Rowman & Littlefield, 2003), The Oxford Atlas of the Civil War (Oxford University Press, 2004), Nothing but Victory: The Army of the Tennessee, 1861-1865 (Alfred A. Knopf, 2005), and Shiloh: A Battlefield Guide (University of Nebraska Press, 2006).